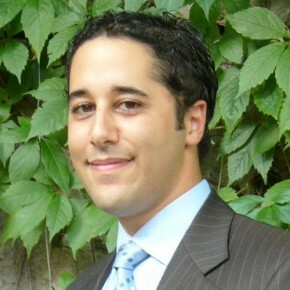 Adam Daifallah is a Partner at HATLEY Strategy Advisors, a public affairs firm with offices in Montreal and Quebec City. With more than 15 years’ experience in law, journalism and politics, Adam is a skilled communicator who interacts with key decision-makers in Toronto, Montreal, Ottawa, Quebec City and Washington, D.C. Adam is Chairman of the Board of the Canadian Taxpayers Federation, an instructor at McGill University’s North American Studies Program and a fellow of the Montreal Economic Institute. Before co-founding HATLEY, Adam practiced law at the Montreal office of Norton Rose Fulbright (then Ogilvy Renault). Previously, he sat on the editorial board of the National Post and was Washington correspondent of The New York Sun. He is co-author of two books on Canadian politics. In the voluntary sector, Adam is a director of the Schmeelk Canada Foundation, a member of the Advocacy Committee of the Quebec Chapter of the Institute of Corporate Directors, a member of Golf Canada’s Communications Committee and a member of SCOREGolf Magazine’s Top 100 courses in Canada rating panel. Adam is co-author, with Tasha Kheiriddin, of the book Rescuing Canada’s Right: Blueprint for a Conservative Revolution, which the Toronto Sun called “the most forward-thinking book on Canadian conservatism in more than a generation.” He worked on the book during his time as a Sauvé Scholar; it was published in the fall of 2005, and a book launch was held at Sauvé House. Living in Sauvé House changed my views on certain issues and made me think about others in ways I had not considered before.